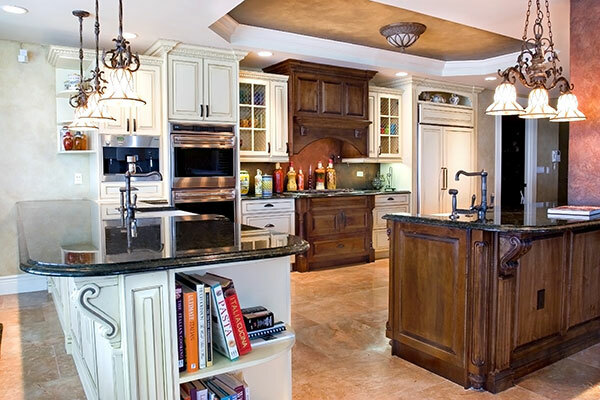 Kitchen makeovers are the most popular home renovation projects. Realtors tell us that updated, modern kitchens are what sells homes and is the home project that gets the most bang for the buck. A total kitchen makeover like the ones we see on the home renovation shows can be costly. Like last week’s “Bathroom Makeovers on a Budget” blog, this week I will give you some tips for freshening the look of a tired kitchen without spending thousands. There are two ways to quickly and easily change the look of outdated cabinets: wire grilles and new cabinet knobs and pulls. I have previously written blogs on both of these products, but will summarize some of the main points. Decorative wire grilles are steel wires that are crimped and woven to create unique designs. They come in many patterns and finishes and add a stylish look to cabinets. 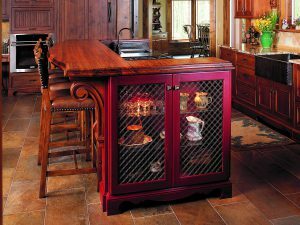 By cutting out the center of some of the cabinet doors and installing wire grilles, you will create a change in texture and break up a continuous cabinet arrangement. 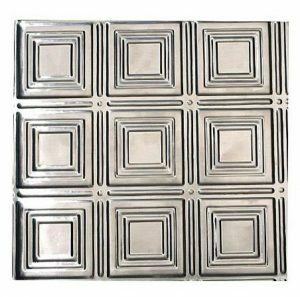 Van Dyke’s Restorers offers over 70 styles and patterns of decorative wire grills to complement any design style. A simple change in cabinet and drawer knobs and pulls will make a dramatic change in the look of your cabinets. There are literally thousands of styles of knobs from rustic to modern.They come in many metal choices and glass and jewel options. Many cabinet pulls also have matching appliance pulls so you can coordinate the look. A new backsplash is another simple project that will change the appearance of the kitchen. A popular choice and a break from traditional tile is stainless steel or copper panels. These stylish pieces come in an array of vintage and modern patterns. Some of the most frequently used designs include squares, diamonds, circles, flowers, leaves, wreaths, and scrolls. New thermoplastic backsplashes give the look of metal at a more affordable price. They are alsolightweight, chemical resistant, and impact resistant. One of the most popular kitchen upgrades is a new sink and faucet. Here again, the style choices are numerous. Sinks come in many configurations―single basin, double, 25/75, 40/60, and more. Apron style sinks feature decorative designs and also come in reversible options with patterns on both sides. 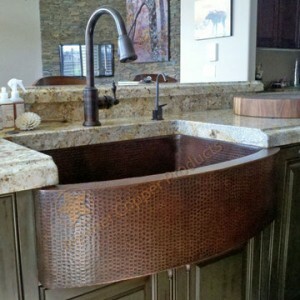 Farmhouse sinks are a popular choice and come in stainless steel, fireclay, and copper. 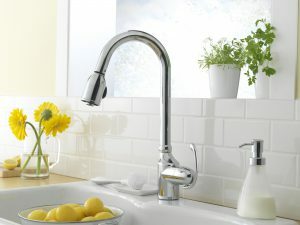 Faucets come in many styles, finishes and price points. Choices include deck mount, wall mount, single hole, bridge faucets, and more. There are single handle and double handle models, and faucets with sprayers. Another popular choice for many kitchens is the pot filler. From vintage to contemporary, Victorian to Art Deco, you can find many options in faucets. Adding island lights is a great way to incorporate a new look to a kitchen. They are available in many styles. These pendant or chandelier style lights bring an elegant and stylish look over islands, counters, or tables. From simple to ornate, Van Dyke’s offers nearly 70 styles in single to multi-light models. When upgrading, don’t forget door knobs and switchplate covers. These little details add the finishing touch to any project. 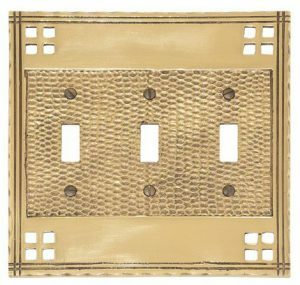 Visit vandykes.com to see our huge selection of door knobs and switchplate covers.